This pdf clocks in at 18 pages, 2/3 of a page front cover, 1 page SRD, leaving 16 1/3 pages of content, so let’s take a look, shall we? This is the book that almost broke SGG’s 1-product a week-stride and it has been in development for a LONG time – justifiably so, as e.g. I recall Mongoose Publishing’s rather ill-fated take on Chaos Magic back in the 3.0-days. That being said, I loved the chaos mage in 2nd edition and one of the most memorable characters of my campaigns during that era was one, so I was rather pleasantly surprised to see the crunch-specialists of SGG tackle this particular field. After a short introduction on the basics of chaos magic, we are introduced to a central concept to this particular brand of magic, so-called chaos surges. Chaos Surges are the result of a chaos mage failing a concentration check or new spells, closely emulating other spells and are determined by the type of targeting of the attempted spell and the surge effect. A d20-table is rolled to determine the modified target and the surge effect does not consume material components, foci etc. required, though the spell that prompted it still consumes them, if applicable. A spell created by a chaos surge cannot be dismissed by the caster. Depending on effect, area, target and you-type spells are covered and the chance for the DM to get creative is also part of the basic options for chaos surges. A new type of spell-descriptor is introduced as well, the bedlam-spell that can be enhanced, but at the chance of potentially resulting in a chaotic surge – great to see that this avoids confusion with the already existing [chaos]-descriptor. The spell-lists by classes are properly organized and provide new material for all classes, though druids admittedly get the short end of the stick and summoners are completely left out. A total of 18 new spells are part of the deal, allowing chaos mages to make blades anarchic (and confusing enemies for short periods of time, if cast with chaos magic). Bewilderment ranks among the more interesting spells as well, rendering you immune to mind-affecting effects, but at the cost of confusing you. This page also features the rare Super Genius Games-glitch – the spell’s header is not bold, instead a part of the prior spell’s text is and there are a couple of words in italics that shouldn’t be. Cursing foes with failing on any natural 1 on a d20 roll is also rather neat. 9 of the spells are devoted to chaos surges for the varying levels. The Chaos Surge spells are meaty indeed – they offer you the chance to cast a spell you know of the spell-level of the surge or lower if you succeed at a concentration check of 11+ caster level (retaining the risk and properly scaling with your levels) -the surge transforms into the desired spell. You may even, at DC 16+caster level, try to e.g. cast a second level spell via a level 1 chaos surge! The level 9 version even allows for the use of level 7 and below spells you do not know! You can also incite movement, cancel morale bonuses and aiding one another and teamwork (Loss of Order is such a great spell! ), conjure up chaotic maelstrom clouds, massively hamper spellcasting, force foes to reroll and take the lower result and duplicate rod of wonder effects. Beyond spells, we also get two new archetypes that differ from traditional archetypes in that they are not class specific: Bards, Inquisitors, Oracle, Magi, Clerics, Summoners, Witches, Sorcerors and Wizards may e.g. pursue the path of the Chaos Mage. The central mechanic of this archetype is overcasting – they may cast spells at lower spell levels than they’d usually be if they succeed at a concentration check of 10+caster level+ original level of the chaos spell+ difference between original spell level and spell level used to cast x5.Ona failure, the spell can manifest at half power or manifest as a chaos surge. prepared spellcasters may furthermore opt to unprepare chaos magic and replace one chaos spell with another chaos spell, whereas prepared spellcasters can use overcasting only when they have depleted their resources of a given spell level. The second archetype, the spellstorm, represents the unbridled power latent in the character and allows them to enter a casting-enhancing eldritch fury – though at the potential of creating chaos surges while in the mode. A total of 12 fury powers, analogues to rage powers in how they work, are also provided and allows for knowledge of the type of chaos surge effect a cast will entail, improved accuracy etc. The editing here is also not as tight as I’ve come to expect from SGG, as the respective entries refer often Stormspell, potentially confusing readers. I also noticed a reference to the barbarian base-class, a remnant of cut-copy-pasting. The pdf closes with a new hazard, the Zone of Arcane Ataxia, a more limited wild magic zone that makes the magical energies harder to control. 10 variants of this zone with respective DCs to control the magic are provided. The pdf also features extensive advice for DMs regarding the introduction of chaos magic and how to balance it. Editing and formatting show that this pdf did not have the luxury of a second pass at editing, sporting numerous glitches that are atypical for releases by SGG and could have been easily avoided. While they never reach a point where they make the rules harder to understand, they remained a distraction throughout my lecture of this pdf. The pdf adheres to SGG’s 3-column landscape layout and the mostly full colour artworks are dazzling in their beauty. The pdf comes fully bookmarked. I may be the wrong guy to review this pdf, since I admittedly have a positive bias to Chaos Magic – I love the concept, and moreover, I absolutely adore the execution: Chaos Surges rock, make combats more exciting for the characters and if you’re like me and once had a character succeed at a series of dice-rolls that had a about a 1: 10000000000000000-chance to work in his favour, then this is the book for you. If your group still talks about legendary rolls of the bones like that and if you want to add a sense of unpredictability to your magic, then this is a REQUIRED purchase: It adds a sense of wondrous danger to magic that I enjoyed in 2nd edition’s chaos magic take, but with MUCH more concise rules. I LOVE this pdf to death. Concept, execution, all awesome – though perhaps not for every group. If your players are afraid of characters dying due to chaos surges, of potentially friendly fire or if immature and dangerous uses by the chaos mage player would crop up, then this could be problematic – as the pdf acknowledges. 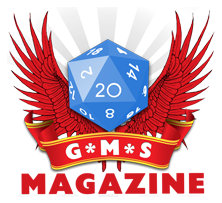 I maintain, though, that in the hands of a mature group and moderately skilled DM, this pdf can bring tons of fun and excitement to your game. Were it not for the uncommon amount of minor glitches, this would be a straight 5 star + seal of approval file, but as provided, I can’t go there, as much as I’d love to, forcing me to settle instead for a final verdict of 4.5 stars, rounded down to 4, but still with my seal of approval. This is one glorious supplement that manages to tackle a topic that is extremely hard to balance design-wise and succeeds at that nigh impossible task. RPG review – Amazing Races: Kitsune!